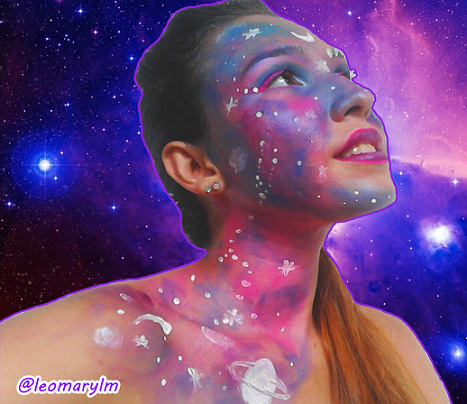 On this day I present a characterization makeup inspired by the galaxy. 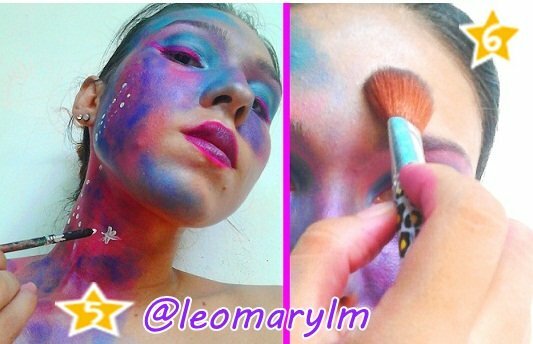 I've noticed that this type of makeup is in fashion and in trend in the hands of makeup artists and I said to myself: Why not do it too? Obvious that I would not stay behind and crossed arms in the matter. So I got to work. Just work with base for the face, fuchsia lipsticks, dark purple. 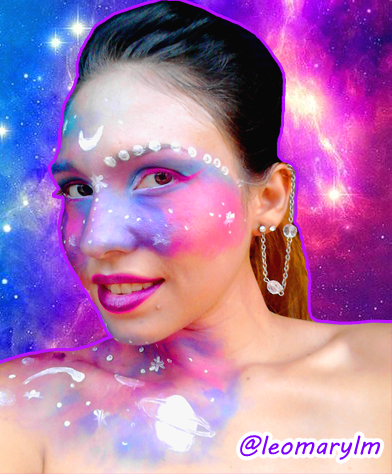 In addition to eye shadows in purple, blue, light blue, as well as illuminators. Ceramic or cold paint in white tone. Eyeliner in fuchsia tone. Creyon de white eyes; mask for eyelashes wine color. Brushes and brushes. 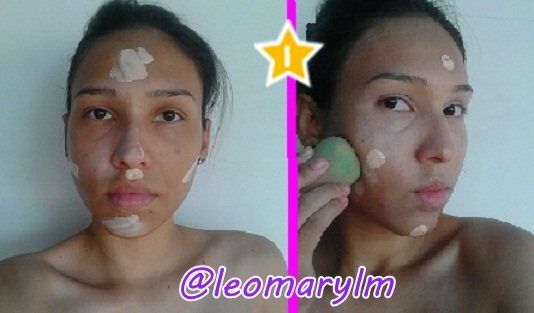 1-First, apply base of my same skin tone on the entire face. 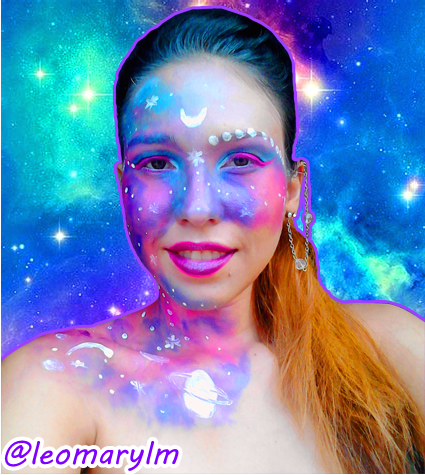 2 - With the help of fuchsia, dark purple lipstick, make spots on the cheek area, under the eyes, half of the forehead, down to the neck and shoulder, taking care to leave certain spaces to apply the shades in blue, celestial, purple to give that effect of mixing colors of the galaxy. 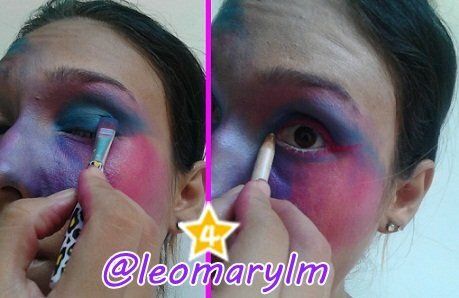 3- The mobile eyelid paint it in shade of blue, under the eyebrows apply a shade in pink tone, complemented with illuminator and with a fuchsia outline in the upper area of the eyelashes as well as in the lower part of the lower ones, since the water line was outlined in white eye crayon shade. Apply mascara tabs in wine tone. 4- The lips have been outlined in fuchsia and filled in dark purple and in the center apply a little white illuminator to give it shine. 5- Finally, it was appropriate to paint the ceramic/cold paint points that resemble constellations, stars, a moon, a shooting star and the planet Saturn. 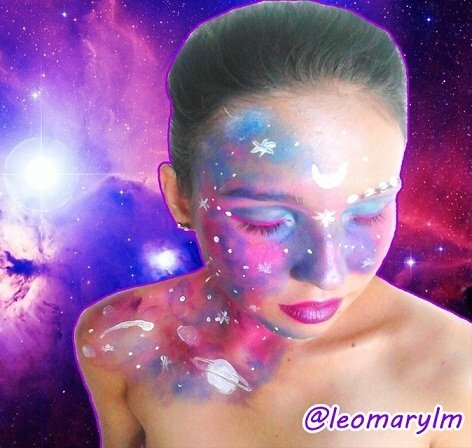 6- White illuminator was applied to give shine to certain areas of the galactic makeup, as well as in the areas without so much color. 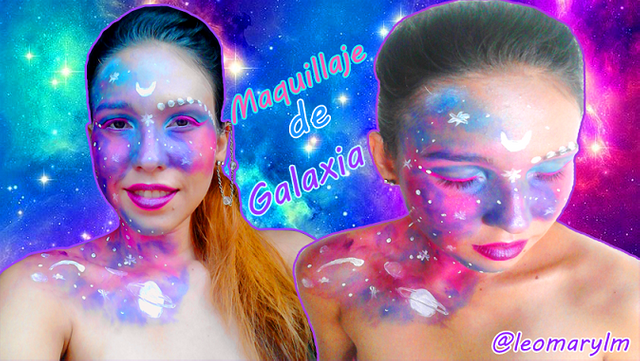 ¿What do you think of this makeup? I hope you liked my makeup. Until next time. Thanks for taking a few minutes of your valuable time to see my post. I think is amazing! loving it! Congratulations! This post has been upvoted from the communal account, @minnowsupport, by Leomarylm from the Minnow Support Project. It's a witness project run by aggroed, ausbitbank, teamsteem, someguy123, neoxian, followbtcnews, and netuoso. 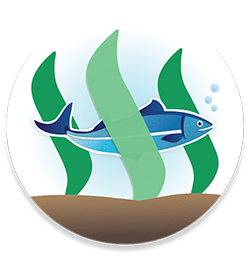 The goal is to help Steemit grow by supporting Minnows. Please find us at the Peace, Abundance, and Liberty Network (PALnet) Discord Channel. 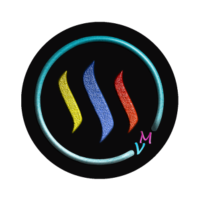 It's a completely public and open space to all members of the Steemit community who voluntarily choose to be there. This post has been voted on from MSP3K courtesy of @isaria from the Minnow Support Project ( @minnowsupport ).